I did a little spur-of-the-moment plant shopping the other day while picking up building supplies at Home Depot. I certainly was not intending to even look at plants while there, as the houseplant selection is usually pretty uninteresting to me. The succulents though, they sometimes surprise. 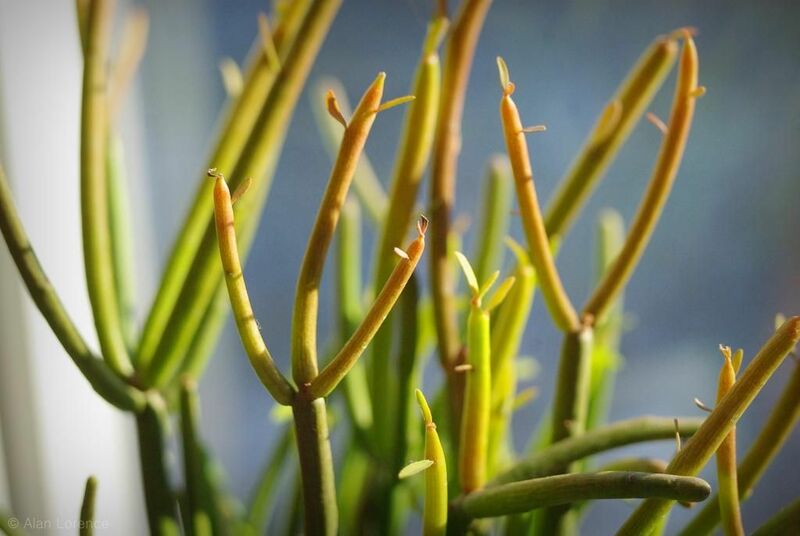 Euphorbia tirucalli 'fire sticks' is a plant that I've grown and overwintered indoors for several years -- in the past, as my plant died last winter when I neglected it a bit too much. So I've been on the lookout for a replacement, and I found one. I could tell they were newly-rooted because some of them appeared a bit droopy, and a couple clearly did not have any roots at all. There are at least five or six separate plants jammed in here! So it's time to give them some space. 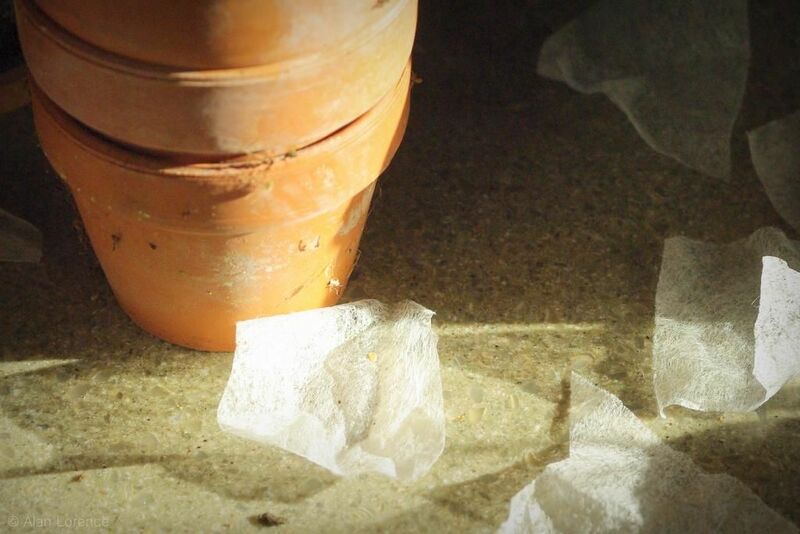 I collected all of the small clay pots I could find, and cut squares of used dryer sheets to cover the drainage holes -- it's the best thing I've found for keeping sandy mixes from leaking out of small pots. I suppose that my usual window screen pieces would work too, but this is much quicker. But it's enough. I've grown these from cuttings before, but Loree at Danger Garden admitted to me that she doesn't have much success with getting these to root. 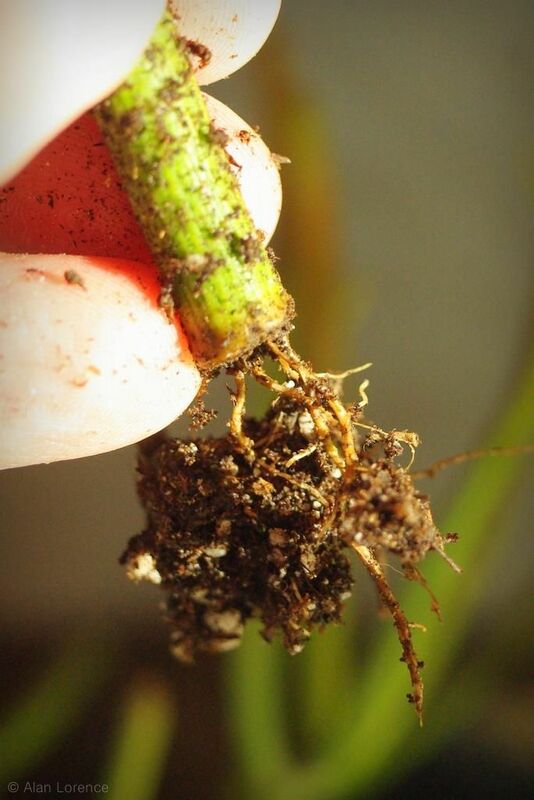 Keeping that in mind, having pre-rooted cuttings like this ensures success (I hope). 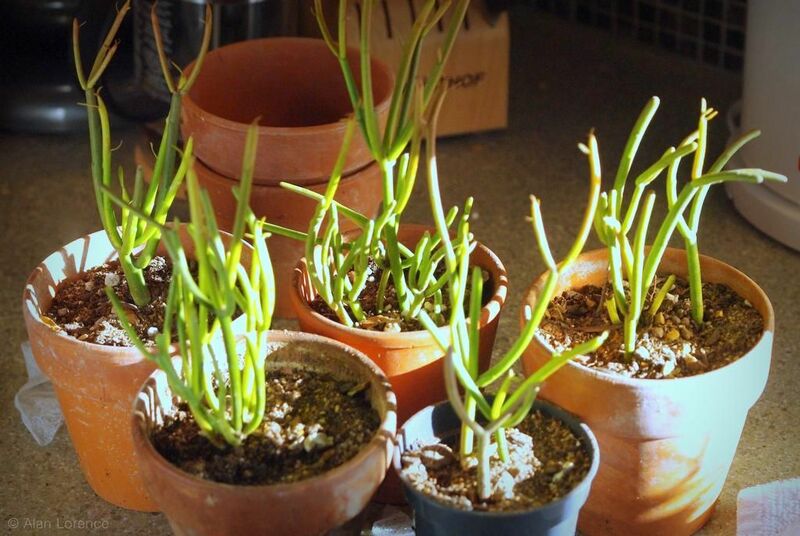 I put the bigger, branchier cuttings into their own pots, then grouped a few of the smaller ones together. 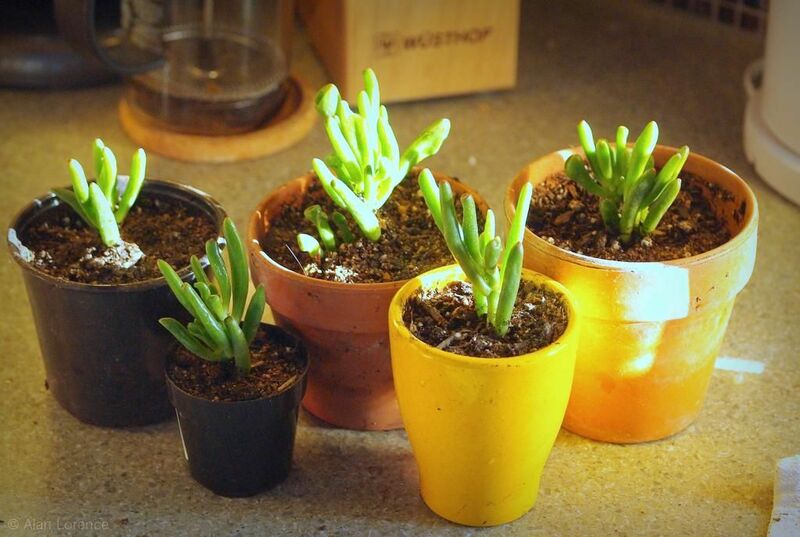 If each small cutting got its own pot, there would have been probably five more. So five new fire sticks, and five new 'Gollum'. Nice bargain, as the fire sticks cost $4 and the 'Gollum' was $3. I'm eager to see what sort of growth I'll be able to put on each of these by the end of the summer. 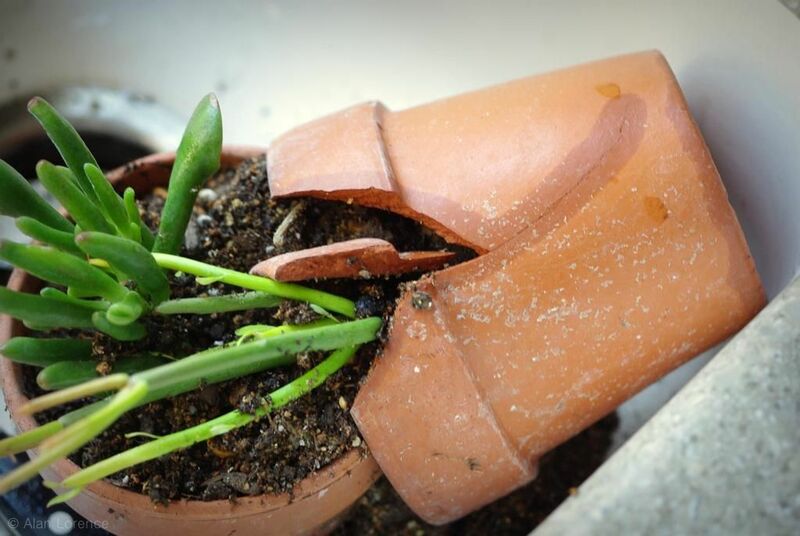 Make sure you check the integrity of your clay pots before reusing them, especially if you're going to be lifting them by the edge. That piece that is missing stayed between my fingers, while the pots sandy contents went directly into the sink. No real harm done, but it's a mess that I would have rather avoided. 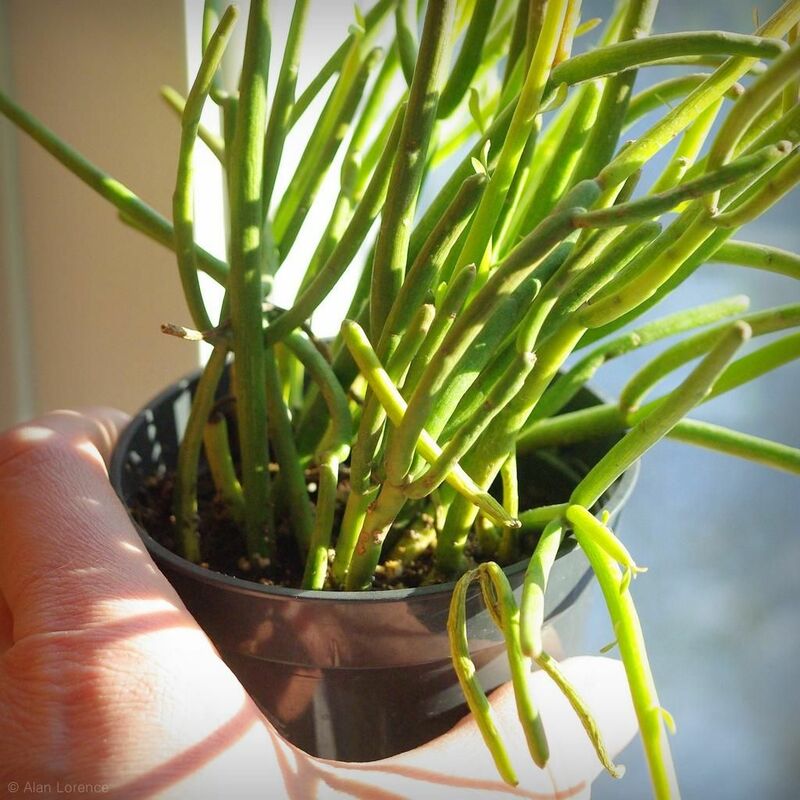 Do you look for plants during the winter? Find any bargains? 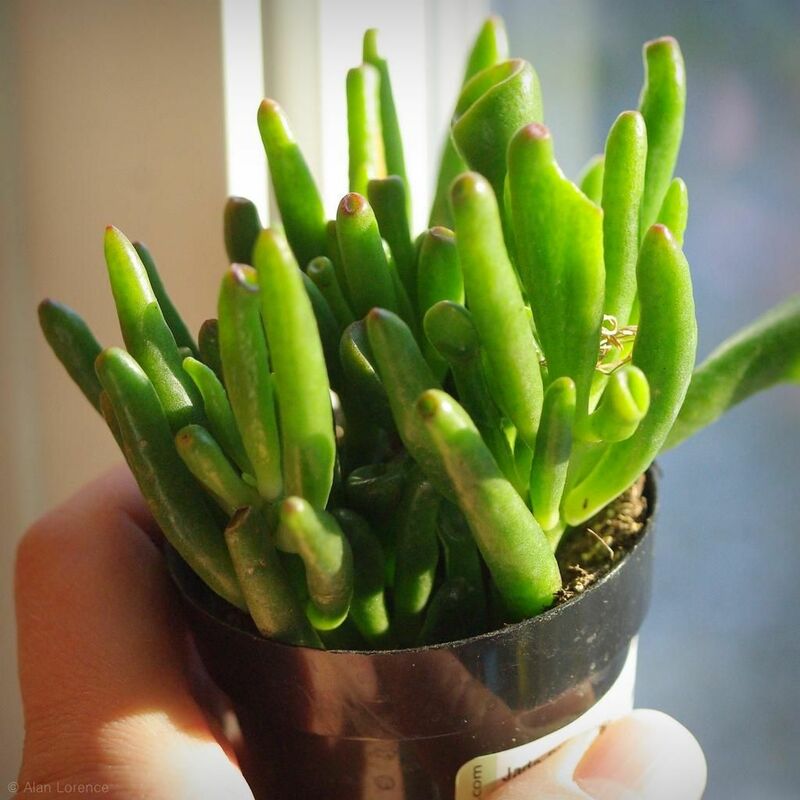 We look for plants all year round :)) those two succulents look extra strange which makes them extra nice! Thinking small is a great idea when the weather is cold and the available space is already limited. They should grow quickly. You found something great; my Home Depot thought more of their desirable plants than I did. Tiny Tillandseas were priced the same as the big pots usually run. Two plants become ten. 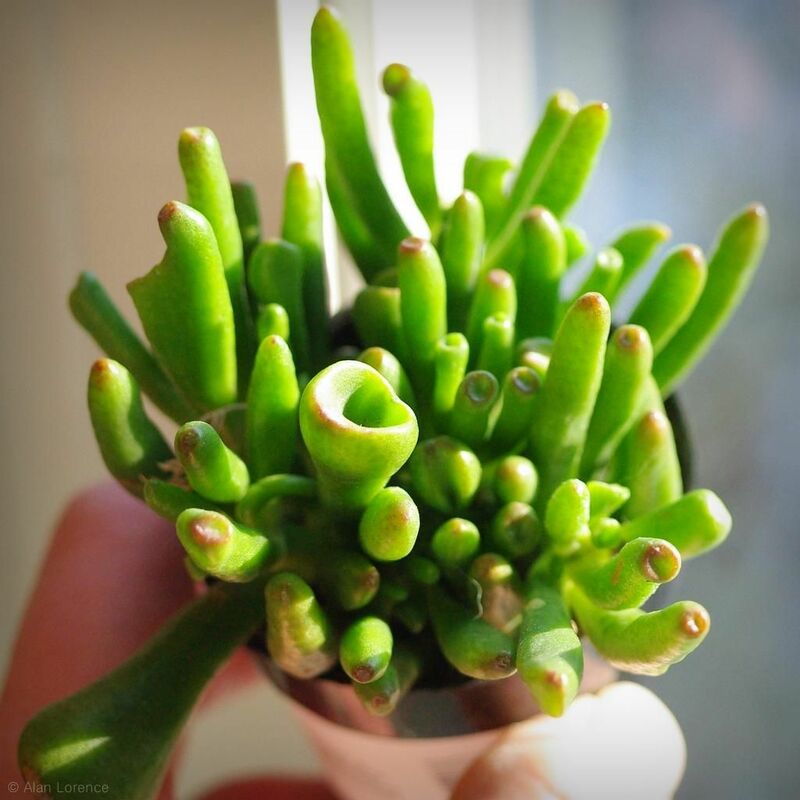 You gotta love succulents. Great finds that have to potential to be with you for many years to come. Great idea to separate plants as soon as you bring them home! Great buys. I am always on the lookout for plants although I haven't visited a nursery in 2015 yet so I'd better remedy that!